I do not normally go to cinemas, I would rather watch a film at home, but I made an exception to go to see I, Daniel Blake which won the prestigious Palme d’Or at the Cannes Film Festival in France earlier this year. This is the start of his life descending into a downwards spiral. The system that should be helping him is a system that grinds people down. Contrary to what Tory (Conservative) MPs say about the film being fiction, it accurately reflects the immense suffering that people have to go through at the hands of the DWP. There was a time when people went to a Job Centre where they received help to find work. Staff had targets to get people employed or get them placed on a scheme that would help their job prospects. Now there are targets to impose ‘sanctions’ and stop benefits. In spite of ‘jumping through all the hoops’ that are demanded of them, their financial aid can be stopped on a whim. People who have no money for food, gas or electricity have to go to food-banks. The need for food-banks is not by circumstance, it is by design. It is social injustice on a large scale. There is climate of fear among those who are unfortunate enough to be unemployed, sick or disabled. A man who had a heart attack during a Job Centre assessment was sanctioned because he did not complete the assessment. A man who was ill refused to go to hospital in an ambulance because he would not have been able to get to the Job Centre on time for an appointment and he would have been sanctioned. 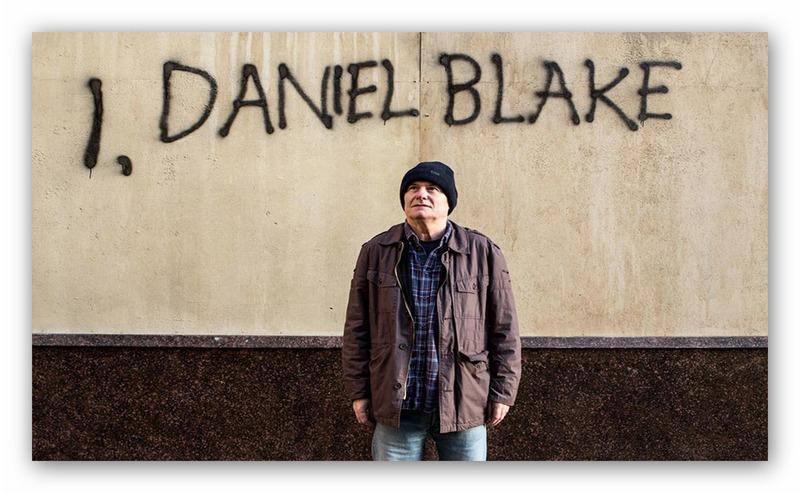 I, Daniel Blake demonstrates the reality of modern Britain and it is not nice.